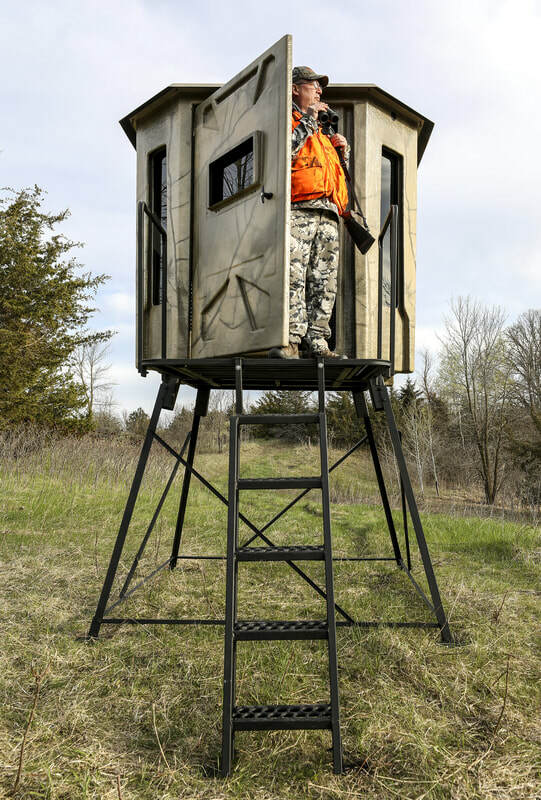 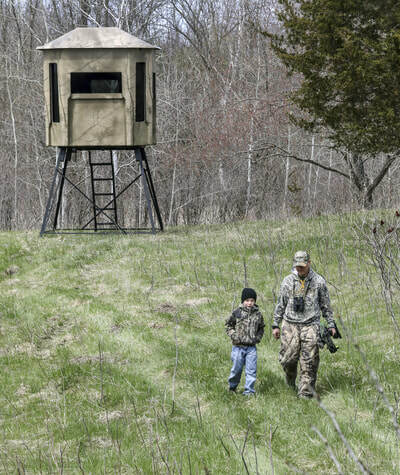 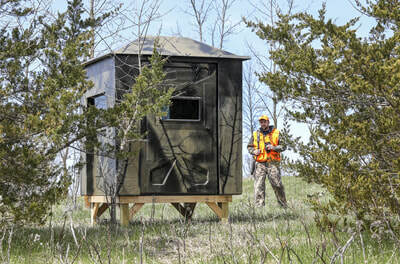 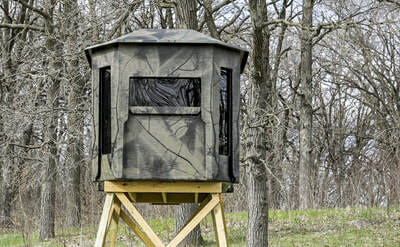 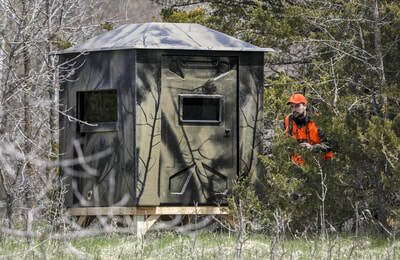 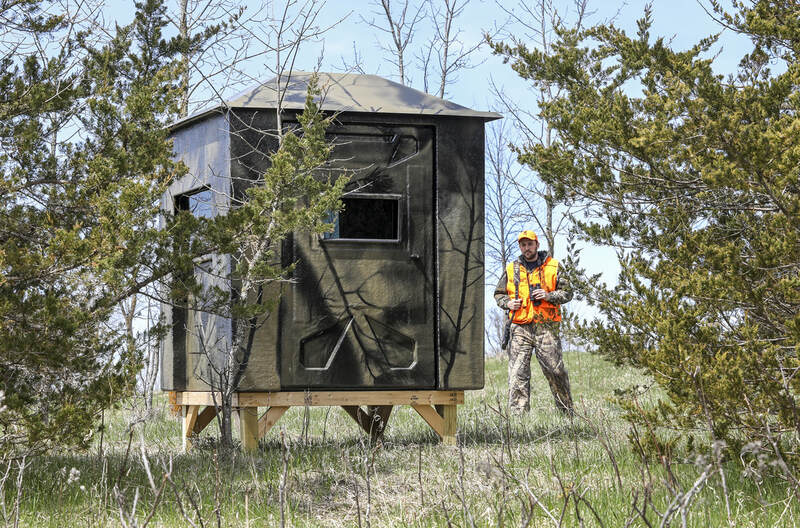 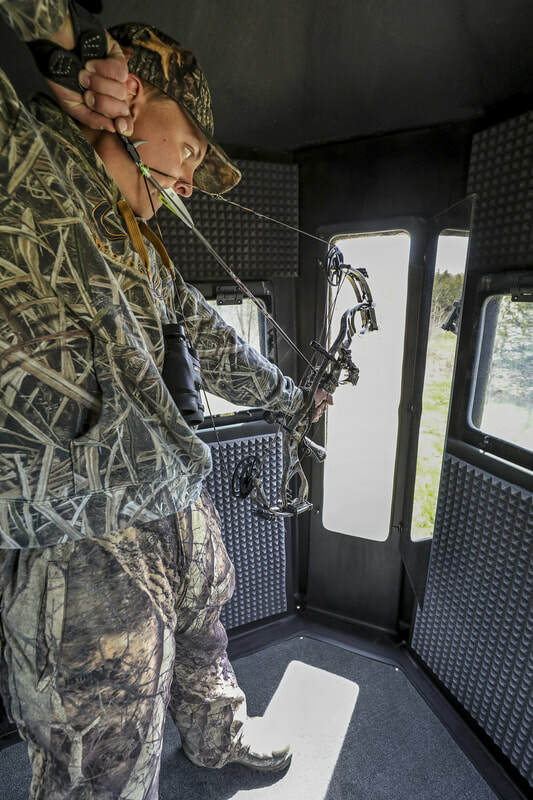 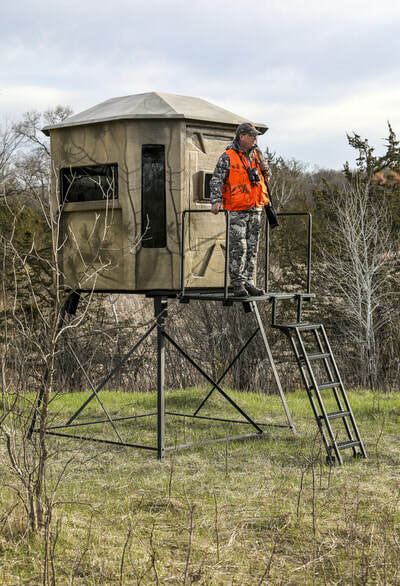 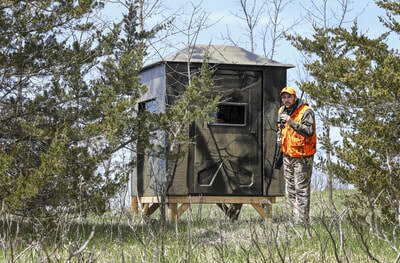 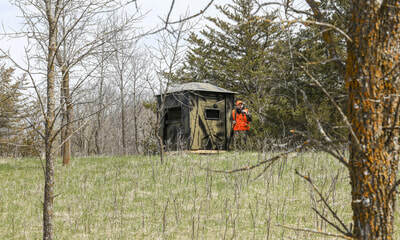 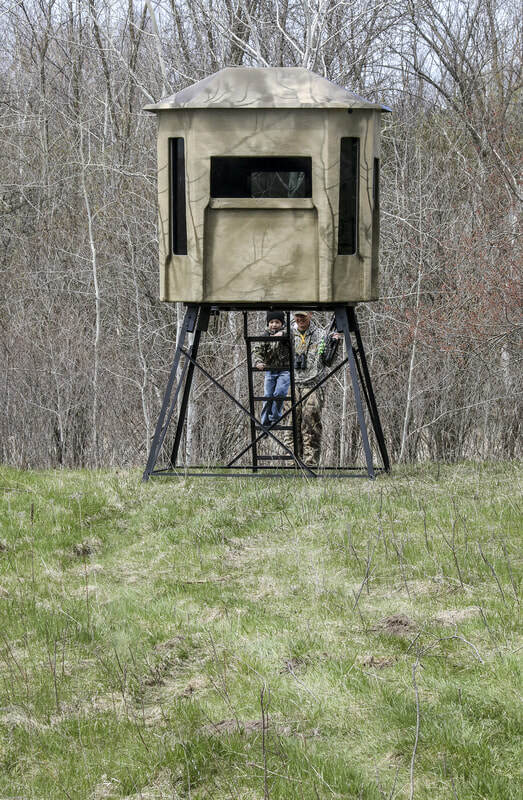 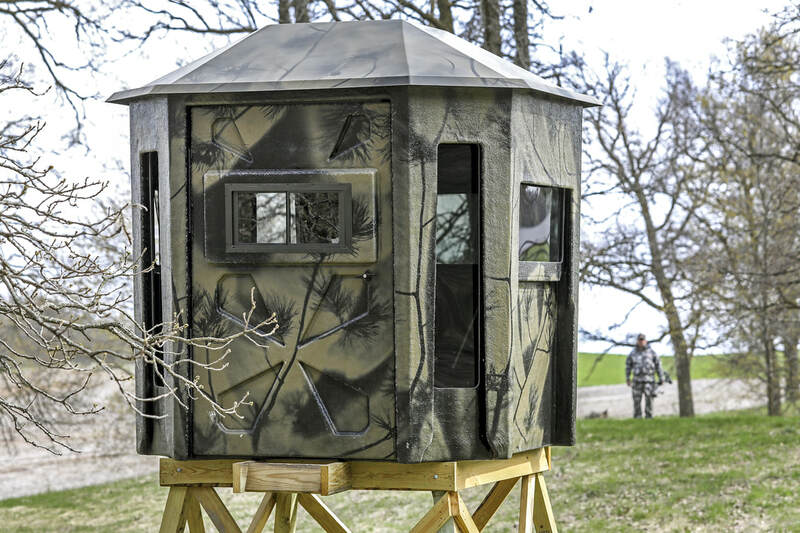 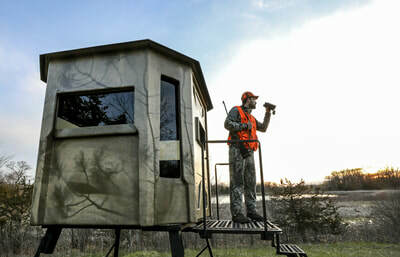 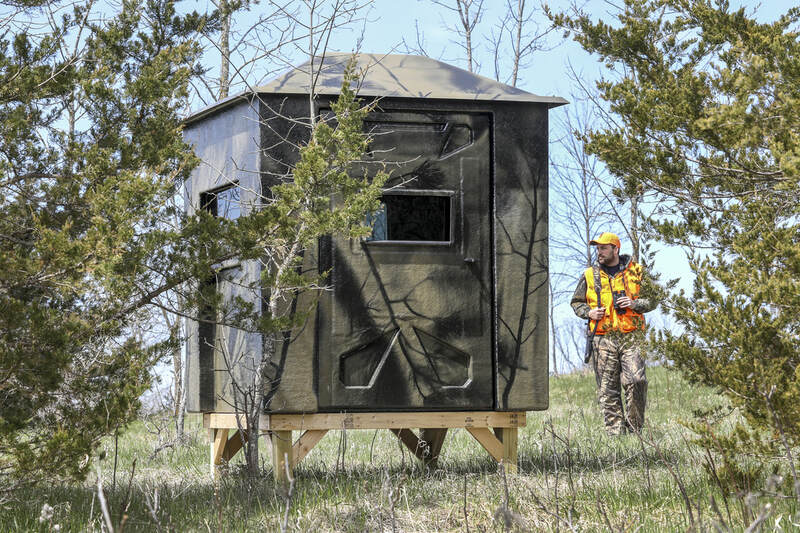 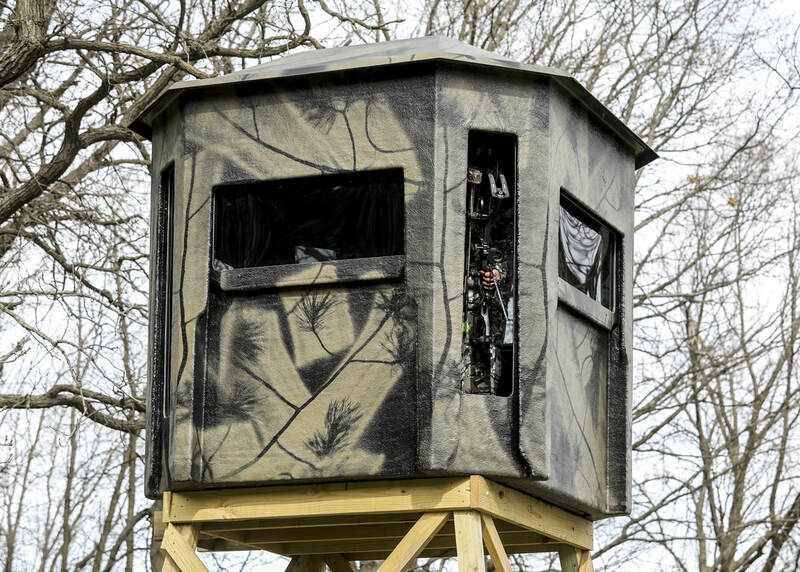 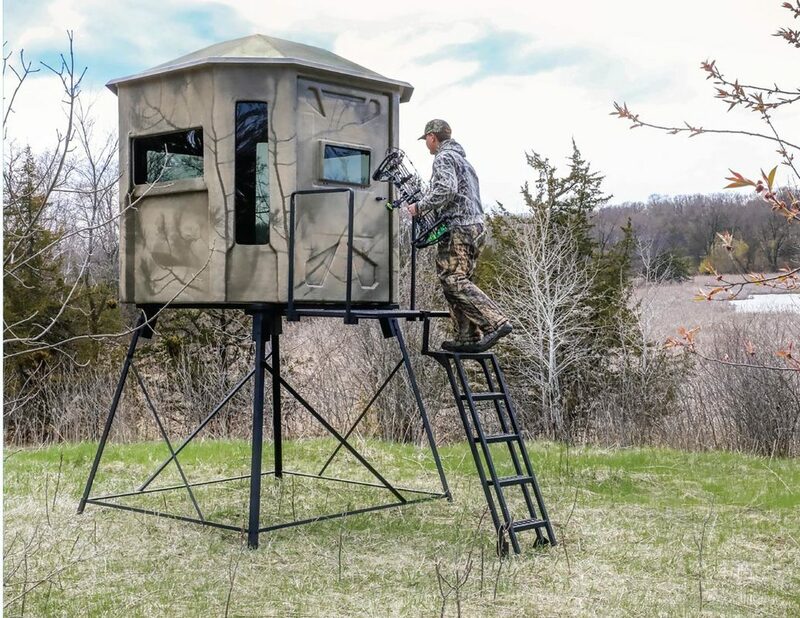 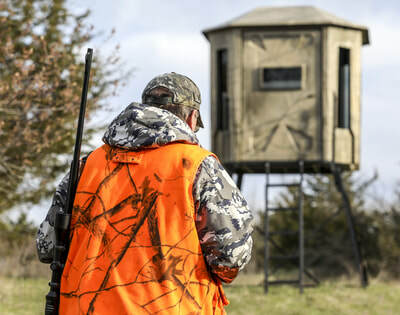 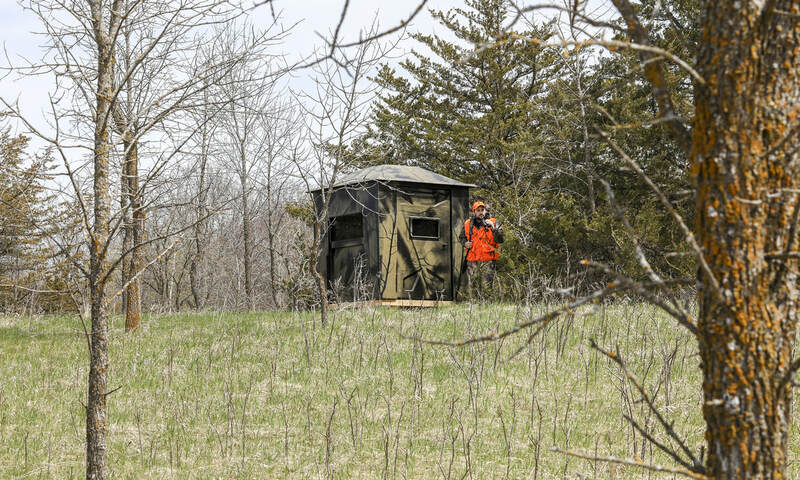 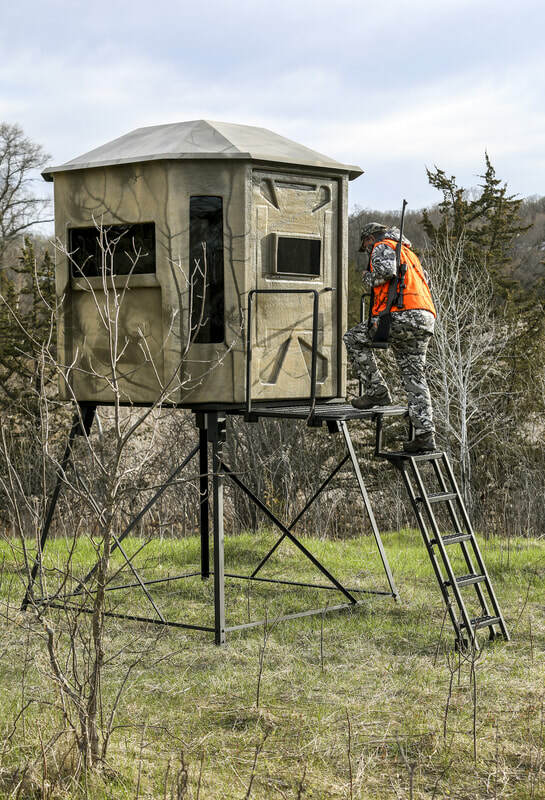 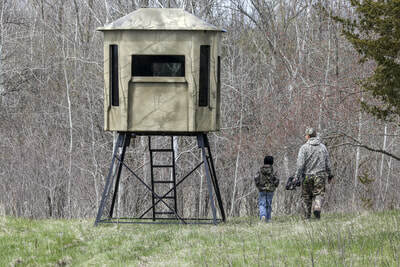 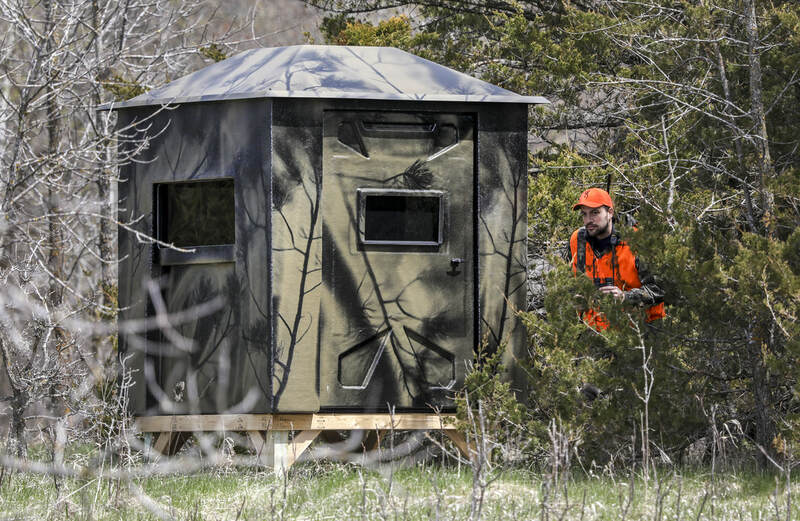 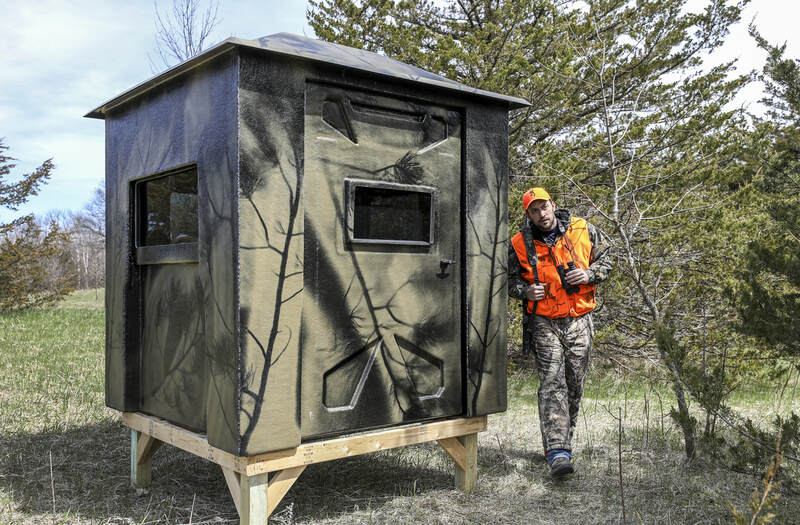 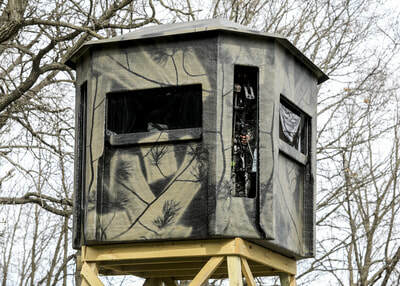 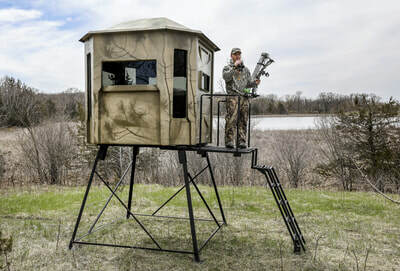 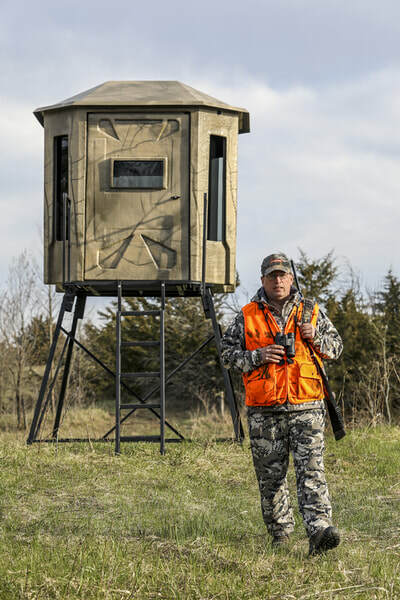 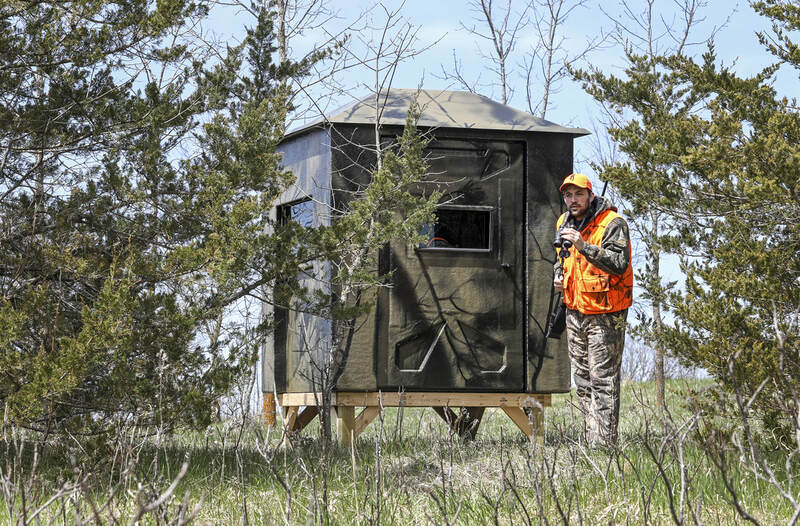 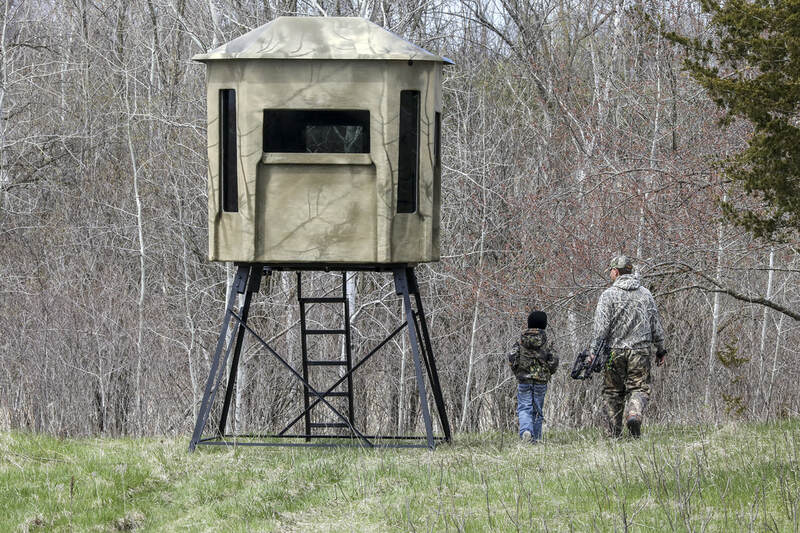 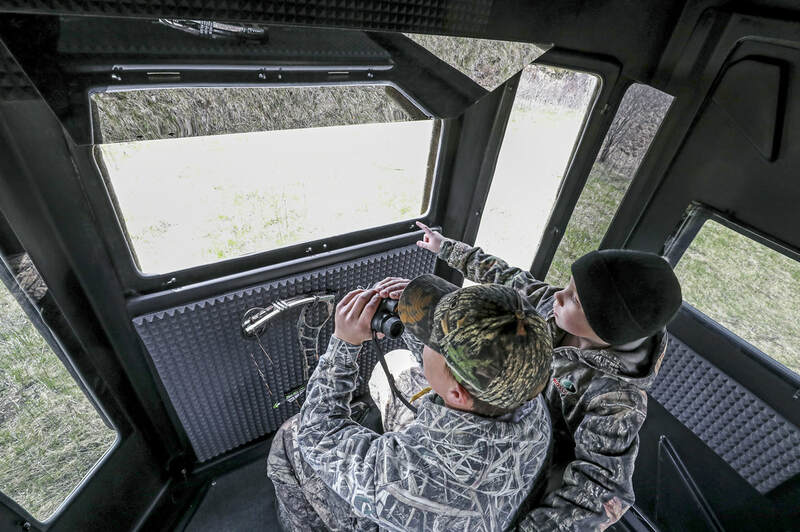 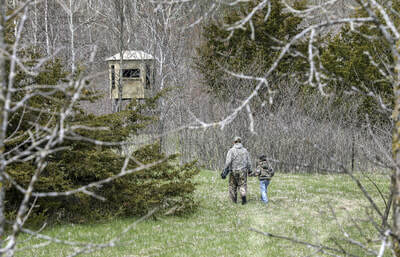 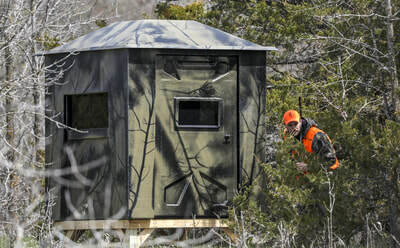 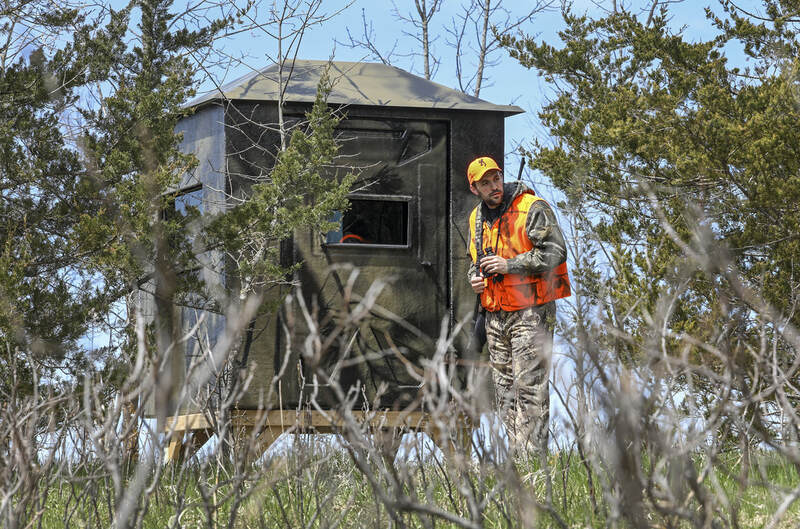 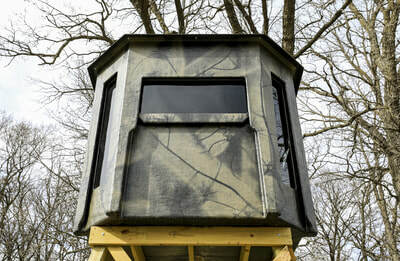 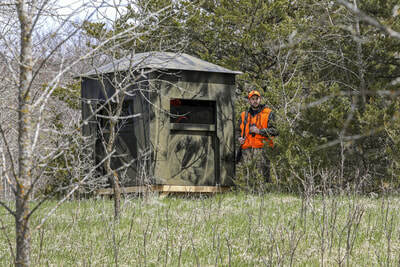 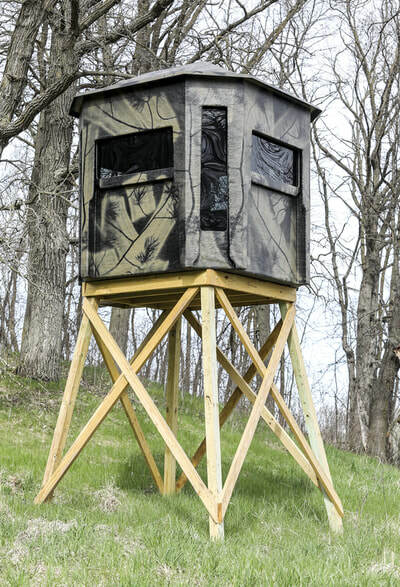 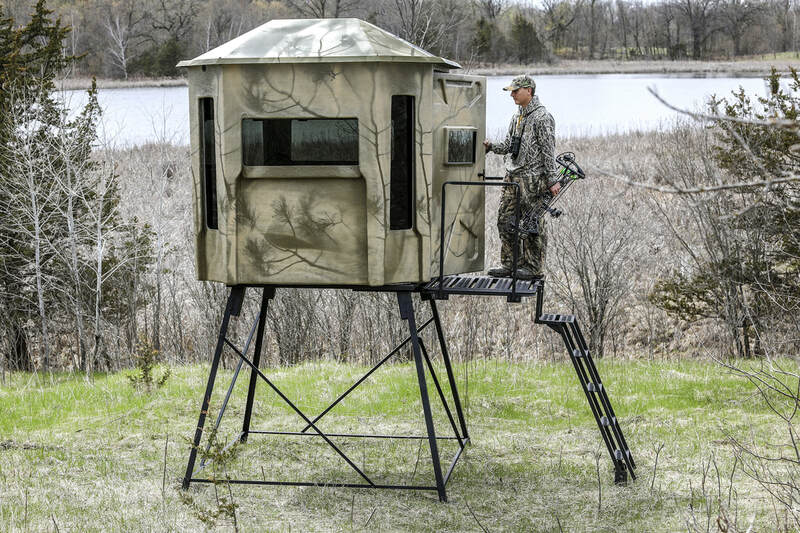 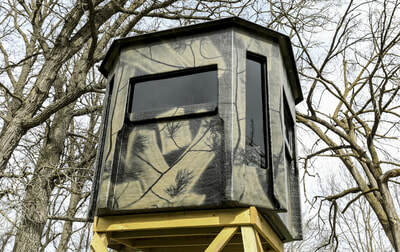 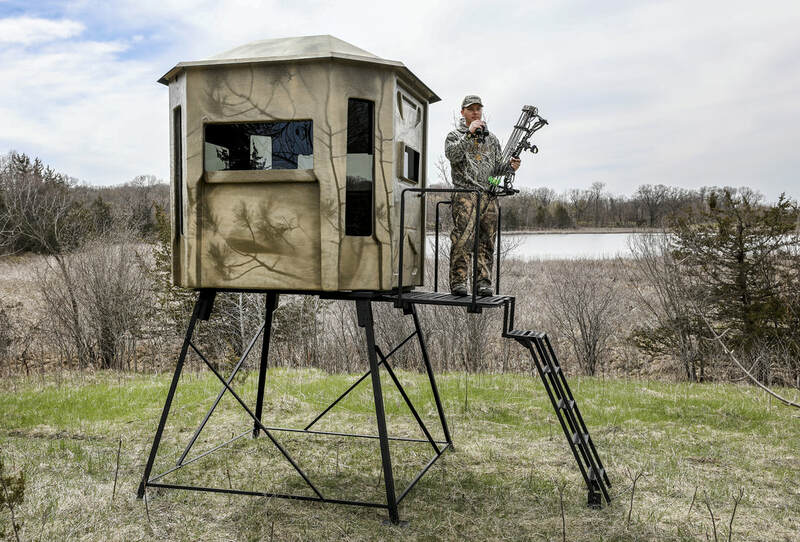 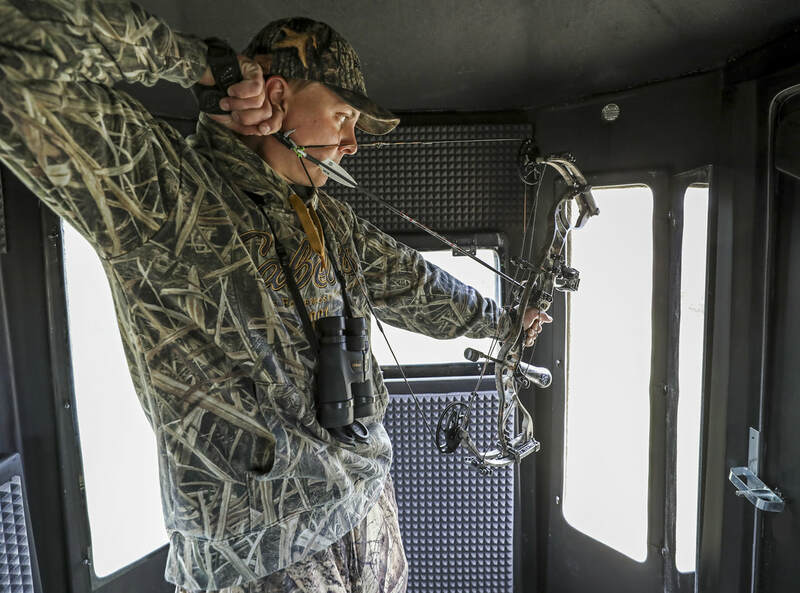 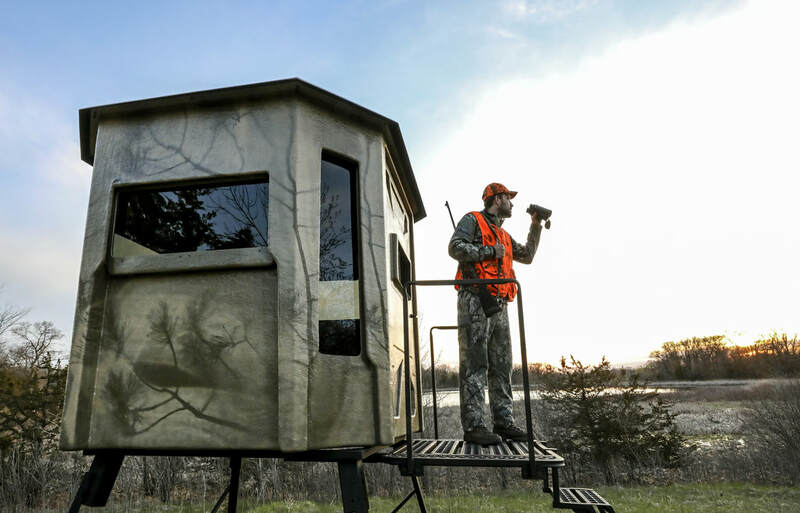 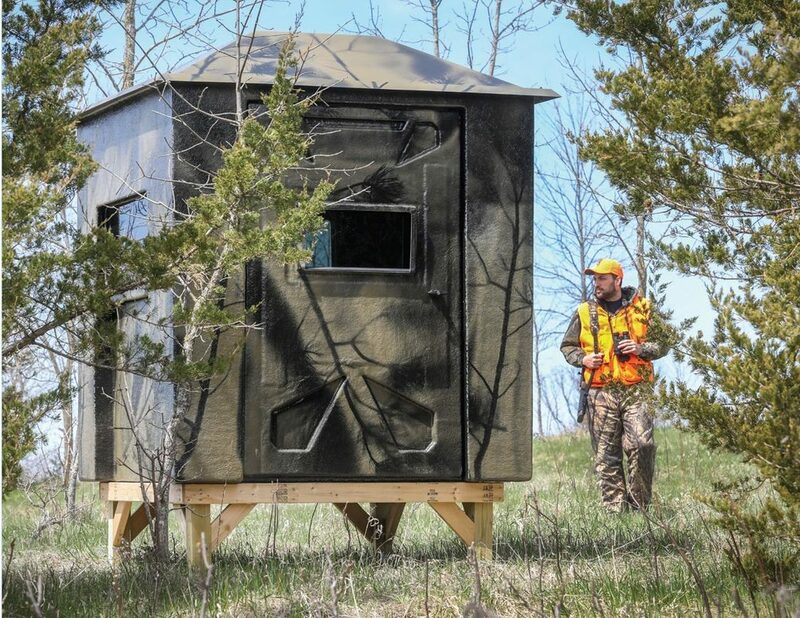 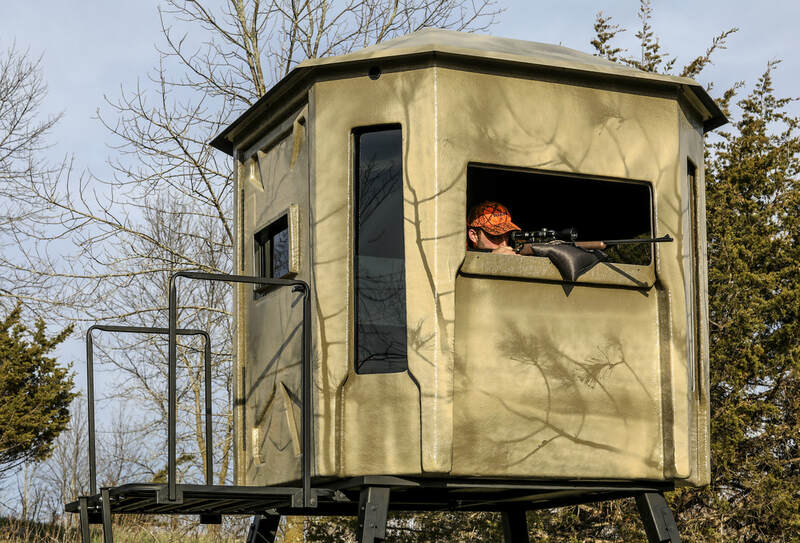 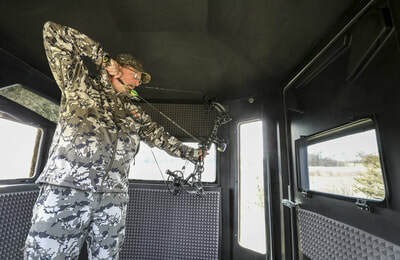 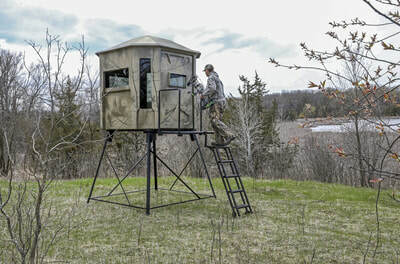 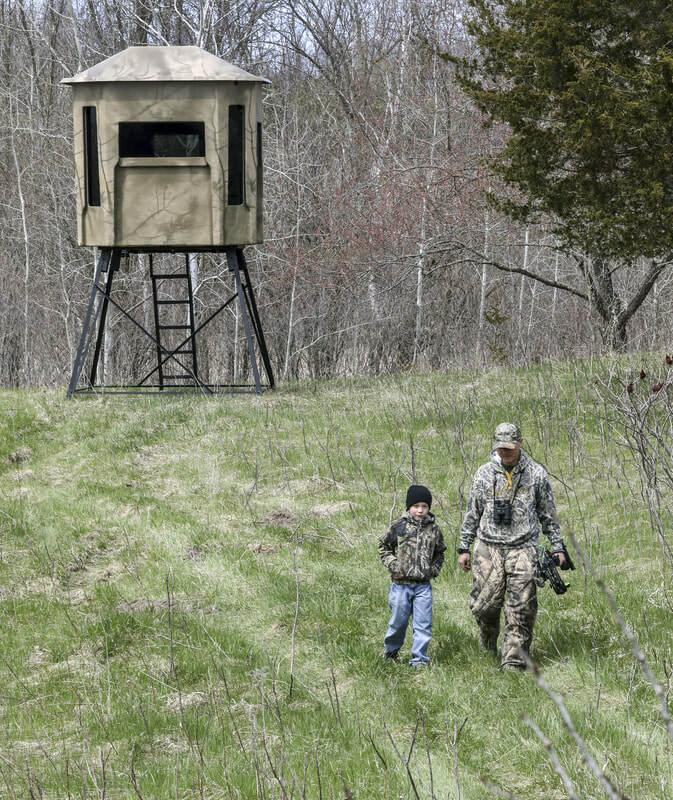 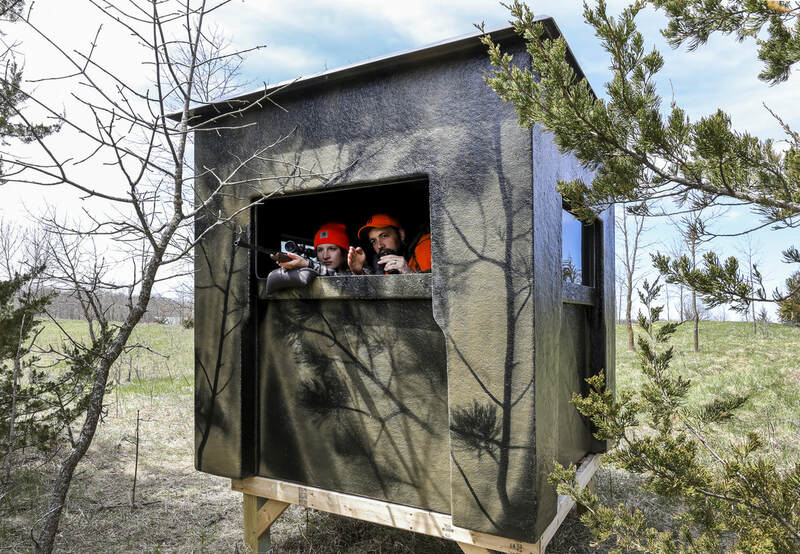 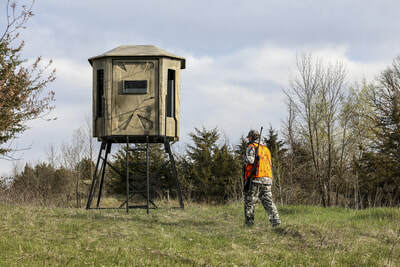 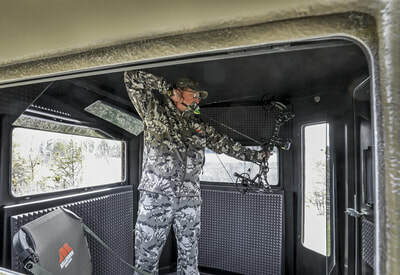 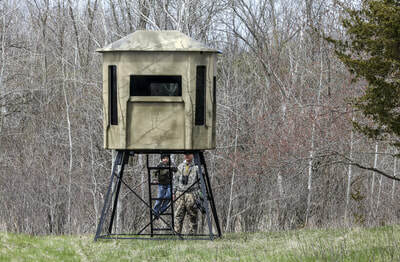 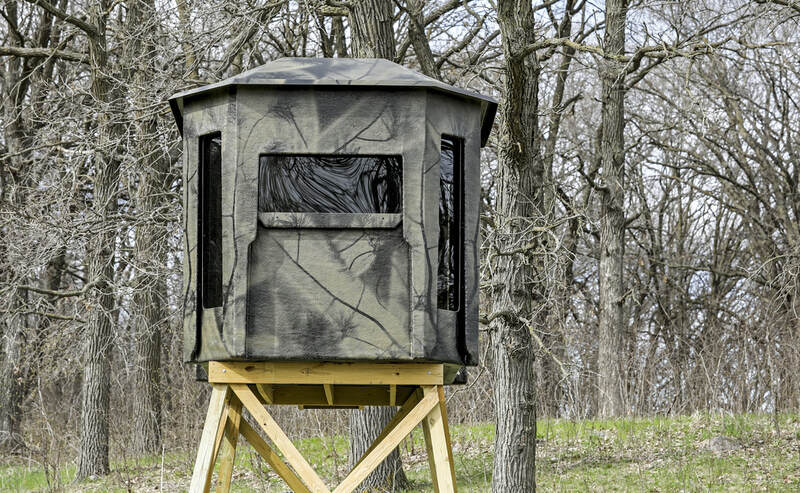 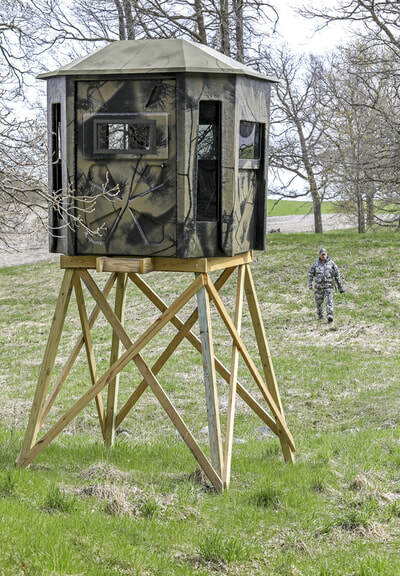 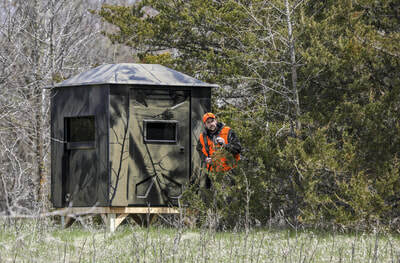 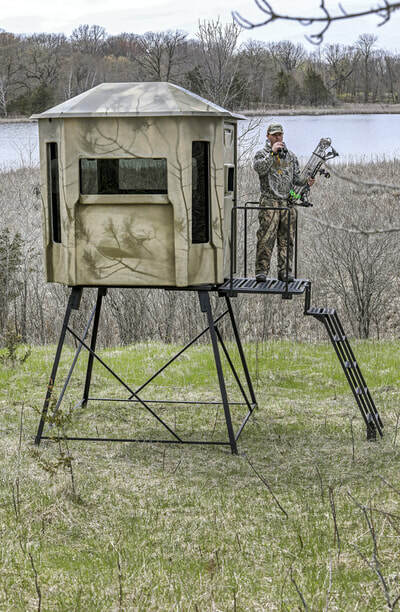 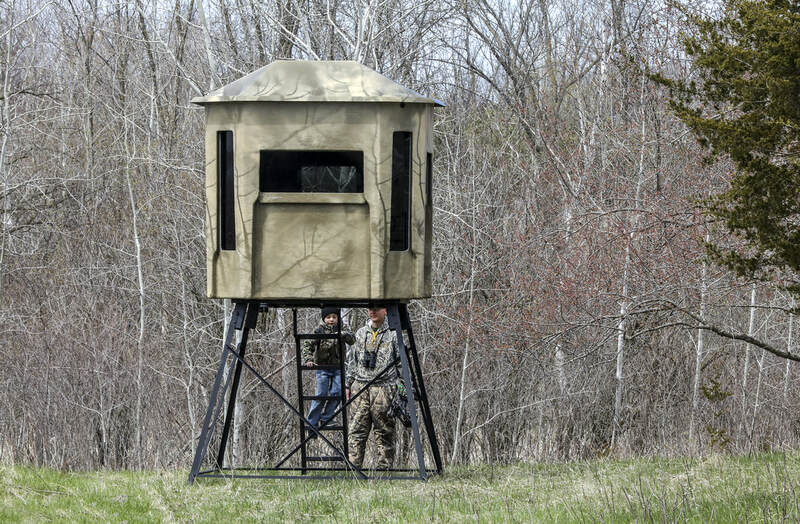 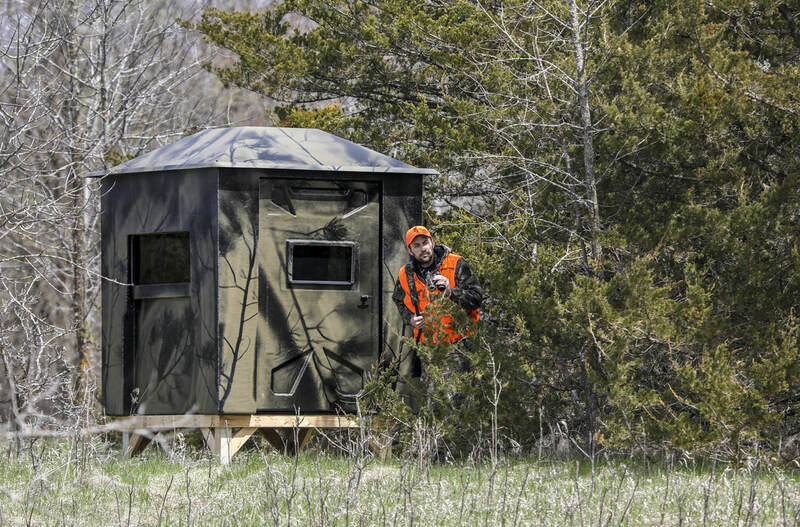 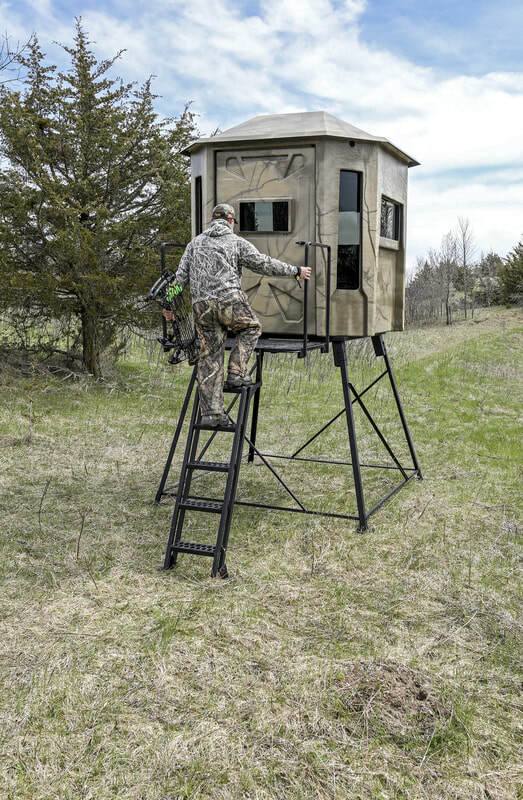 Finally, someone has designed the hunting blind that meets your high standards. 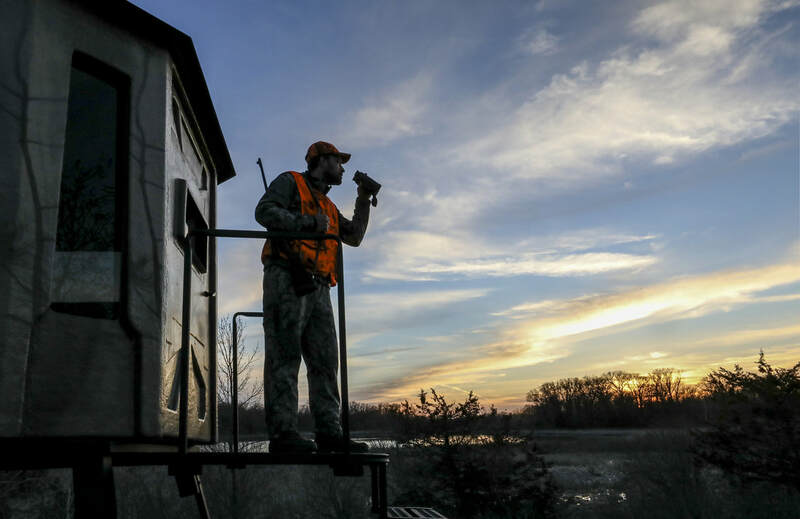 Just like you, we spend hours in the field every year dreaming up ways to make the hunt more comfortable and more successful. 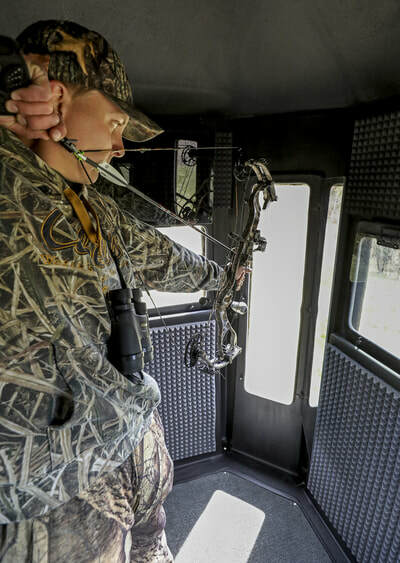 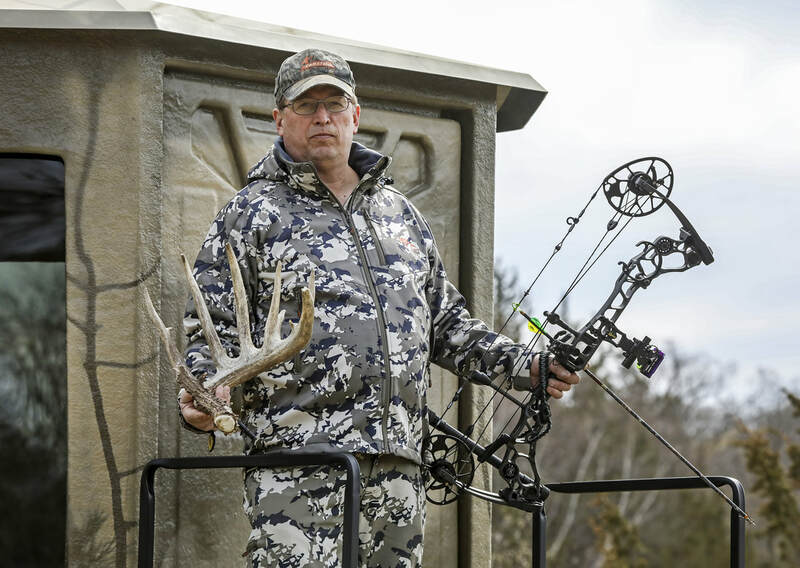 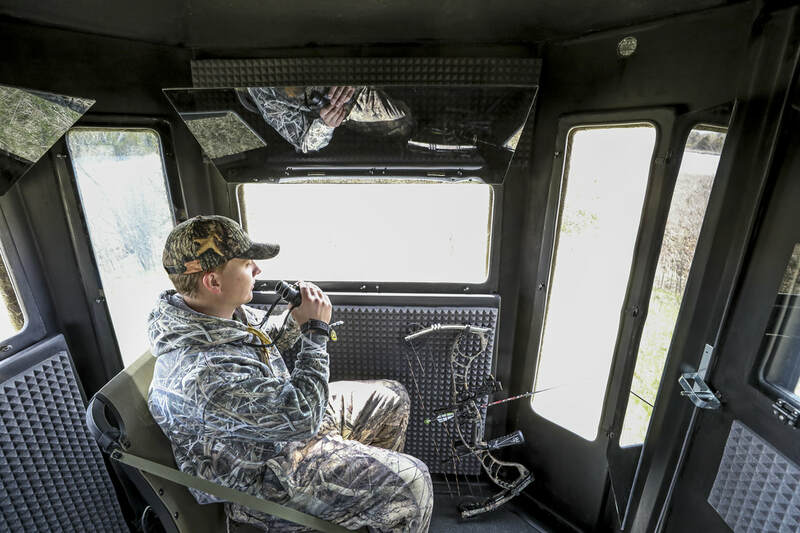 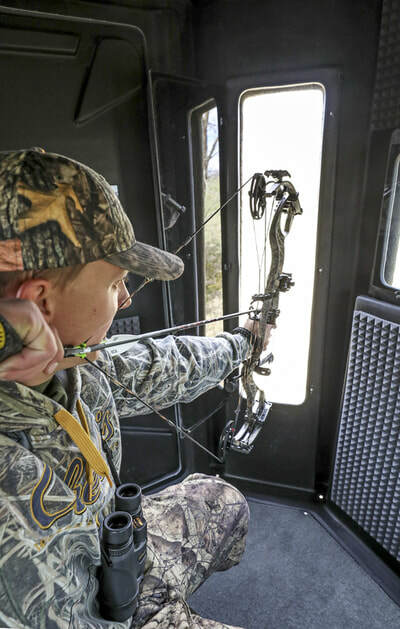 Whether it’s the first day of bow season or the last day of muzzleloader, we took the best thinking from a lifetime of hunting experience and packed it into one product. Hunt that funnel area even when wind is wrong and the weather is nasty. 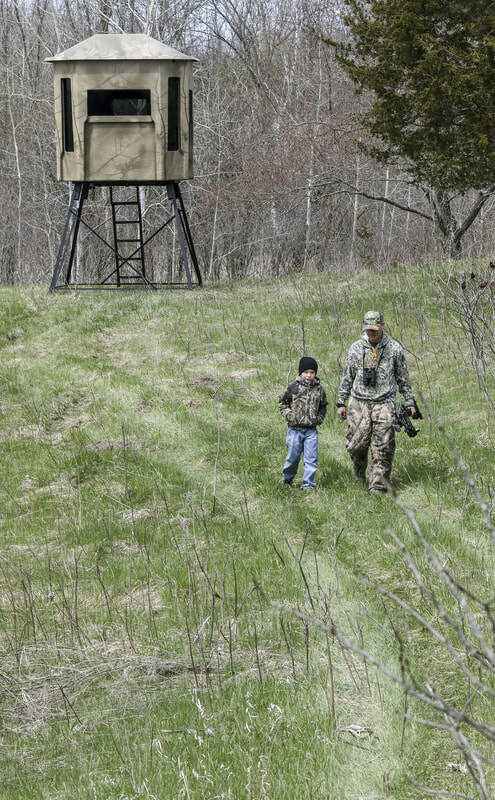 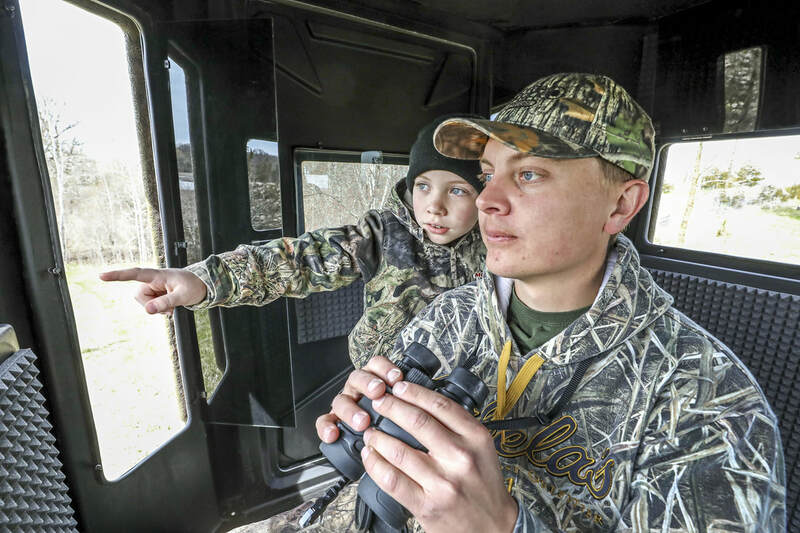 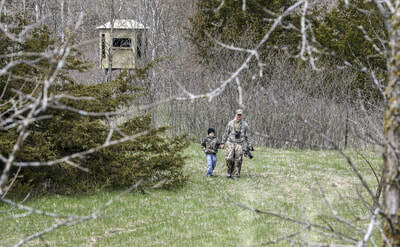 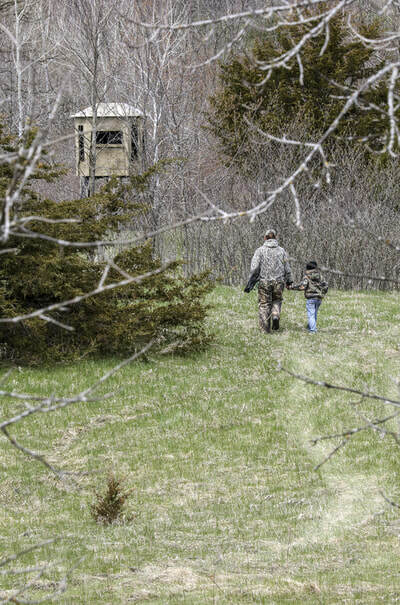 Introduce a kid to the outdoors in a comfortable and concealed environment. Meet Carstens Industries Non-Typical Stands. 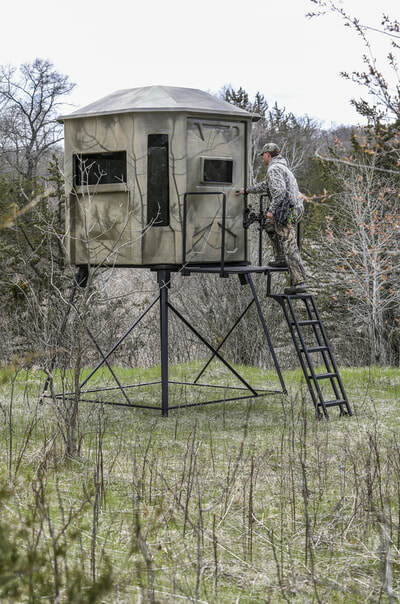 These stands were designed with longevity in mind. 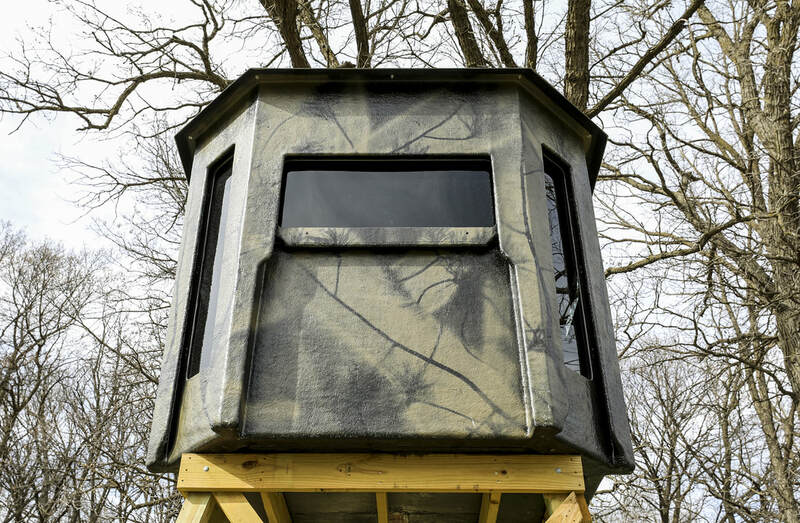 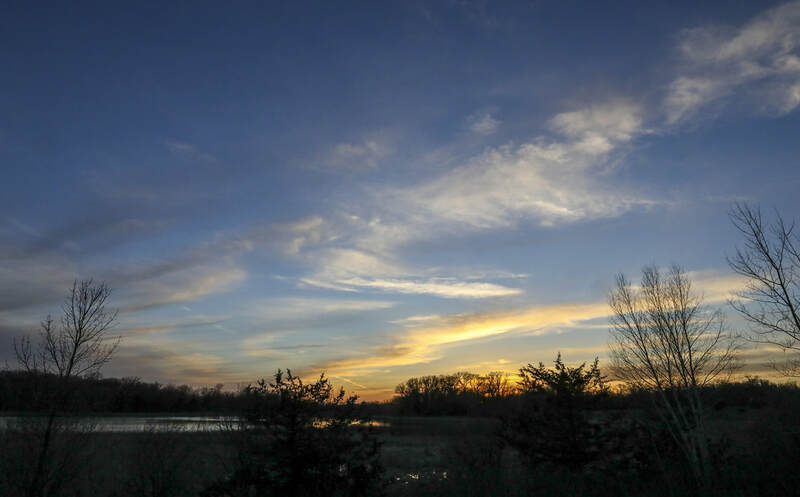 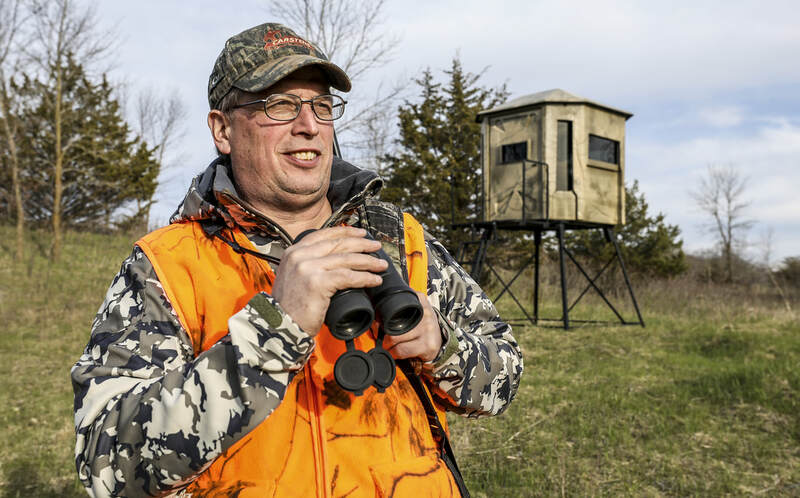 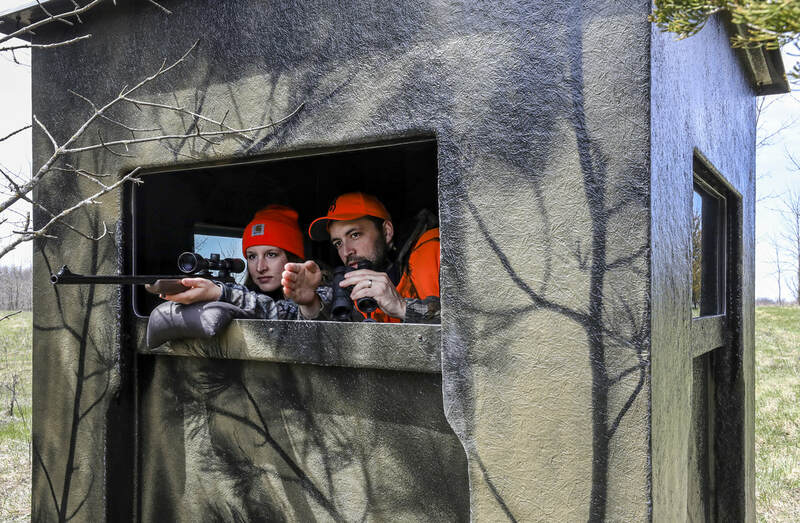 Your hunting land is an investment that you can enjoy year after year, shouldn’t you look at your hunting blind the same way? 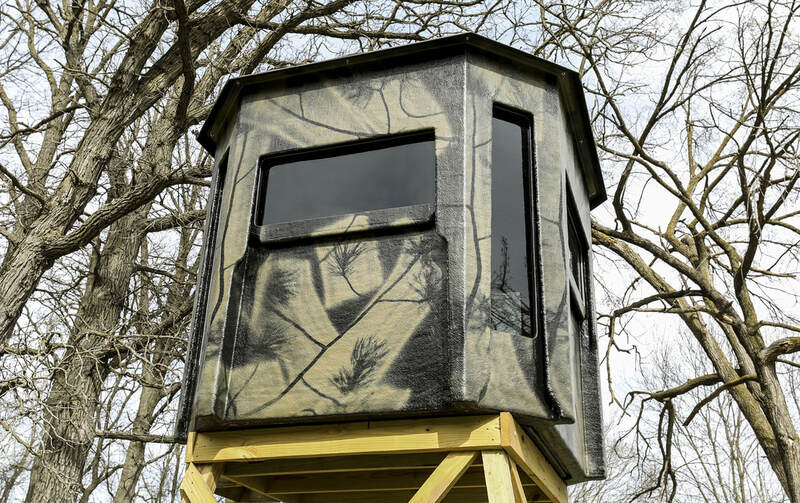 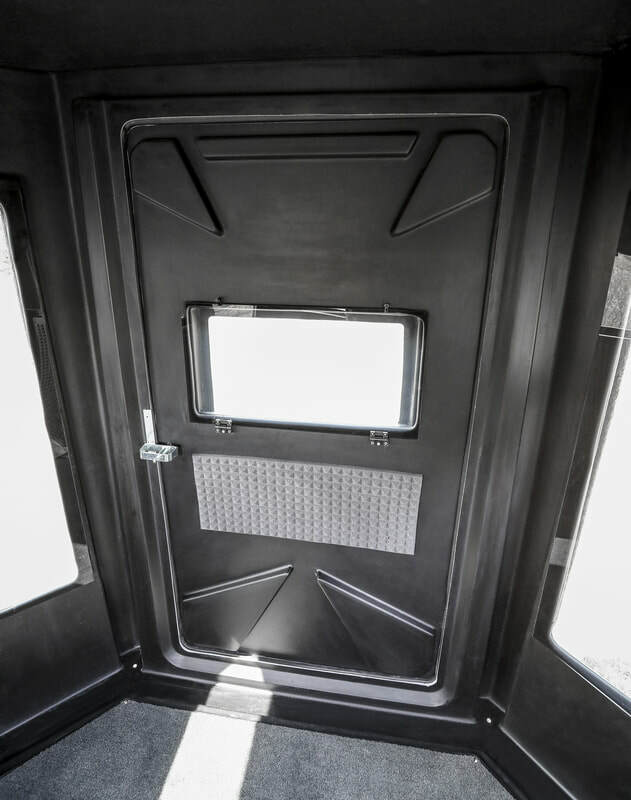 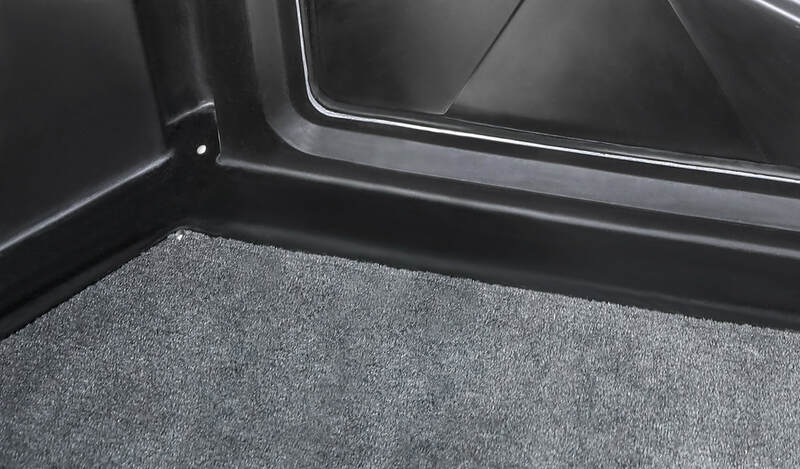 One piece fiberglass construction and UV-resistant gelcoat exterior make this blind rot proof, rodent proof, and hassle proof. 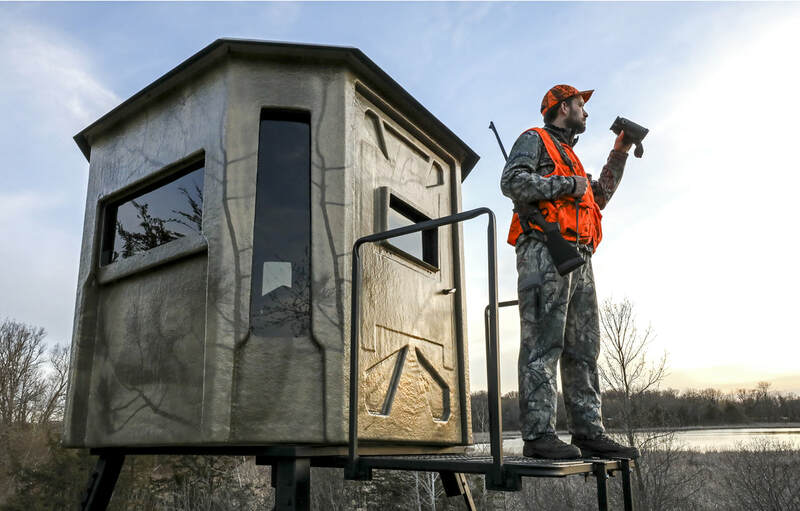 Your time is precious, spend it checking trail cameras or planting food plots, not repairing rotted wood or cleaning up after rodents. 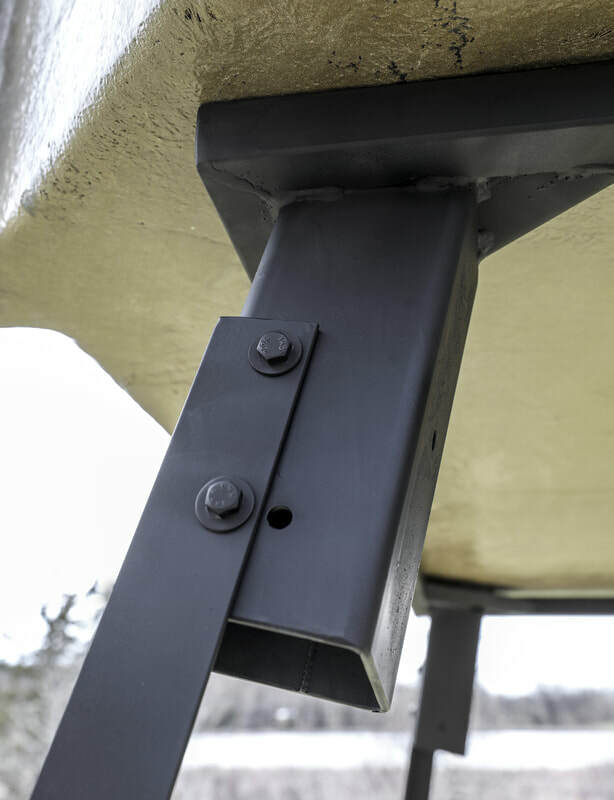 Each Carstens Non-Typical Stand you install will become a landmark on your property and will be enjoyed for generations to come. 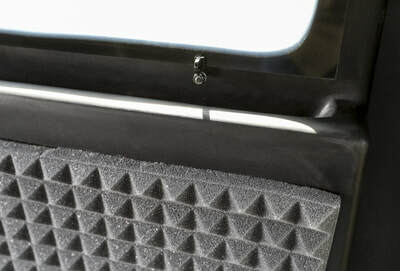 Murphy’s law applies and everything leaks eventually, might as well be prepared. 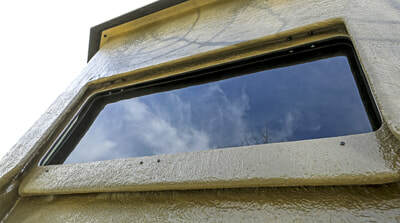 Window design vents rain, sleet and snow back outside the blind where it belongs. 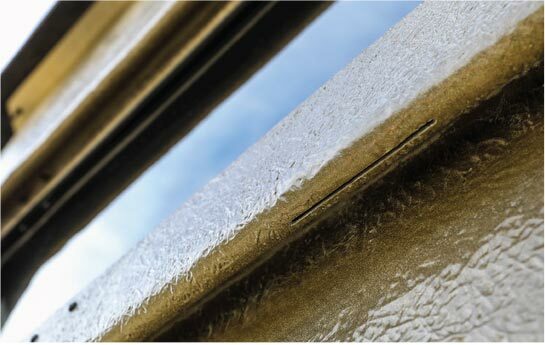 Multiple layers create dimension and shadows window opening helping you blend in better. 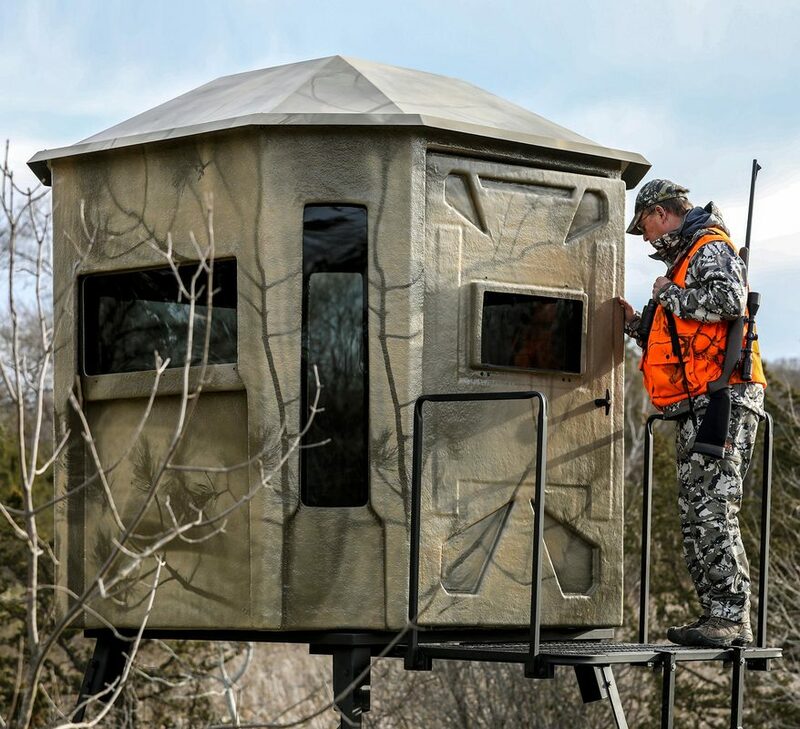 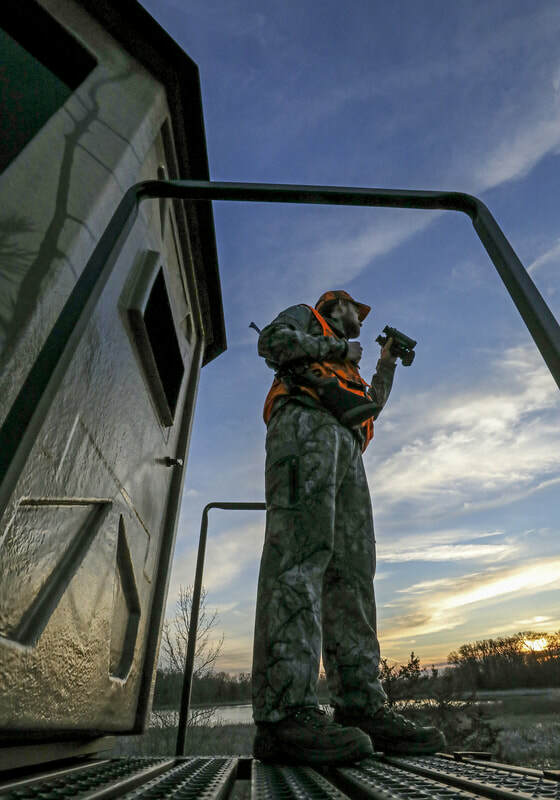 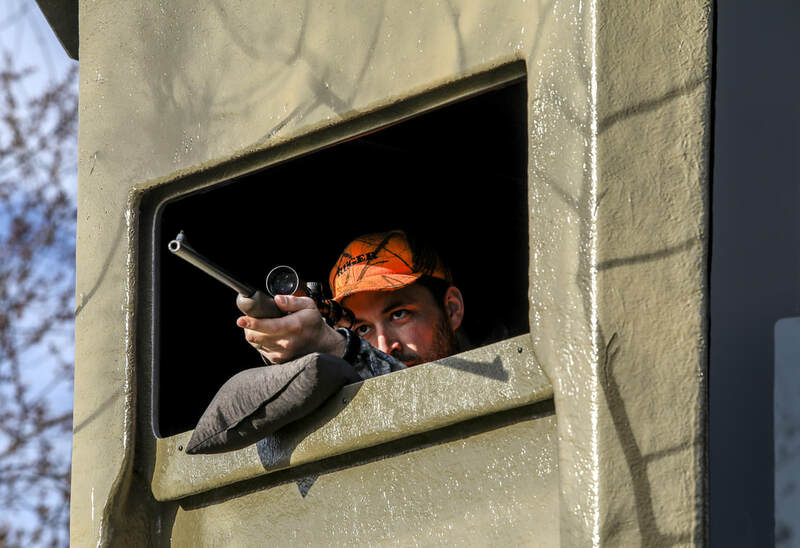 Less water in the blind means a more comfortable hunt for you. 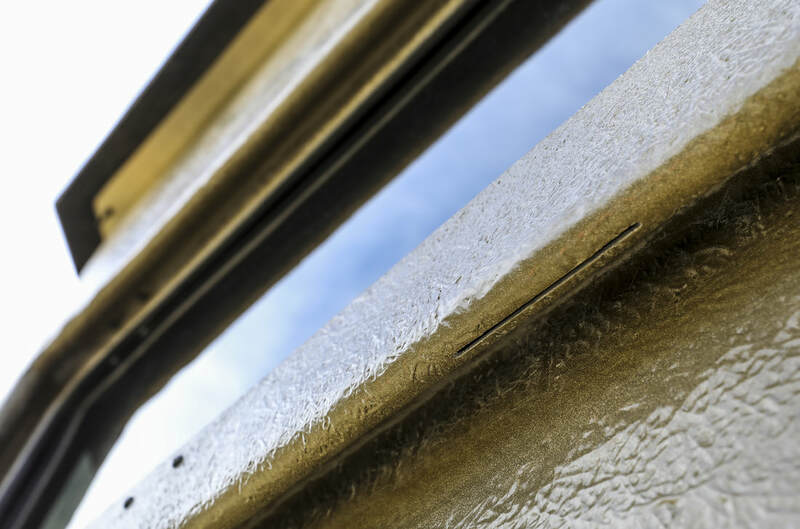 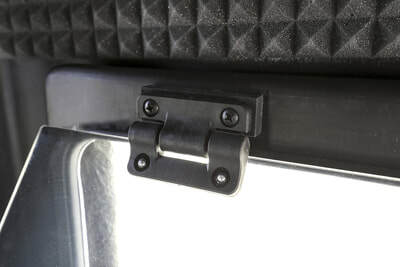 Specialty hinge allows you to leave the window in any position. 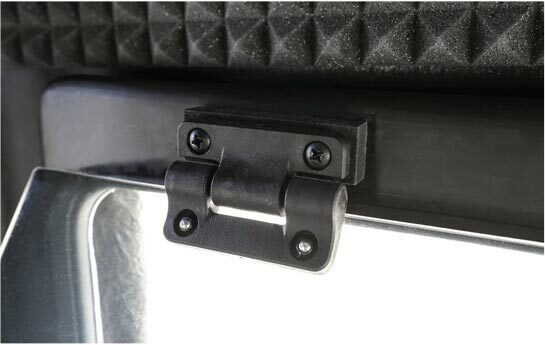 No strings, props, sliders or catches. The one-way design means the tension on the way up is minimal but the way down is just enough that the window stays put. Tension is virtually unchanged in bitter cold and sweltering heat. 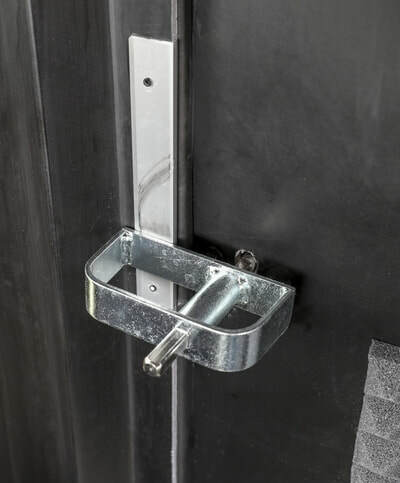 Rugged design and sealed mechanism makes this hinge operate silently for years to come. 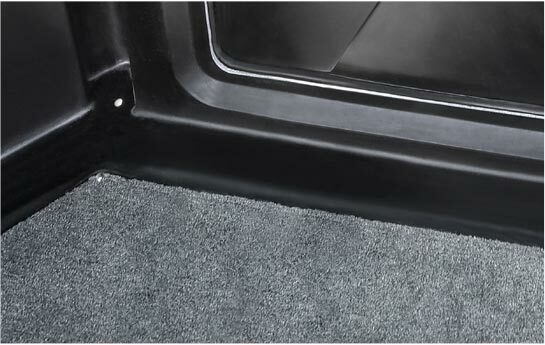 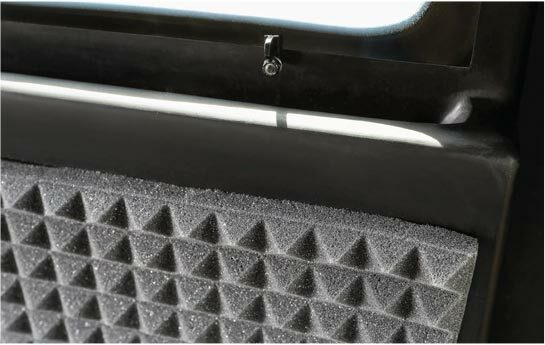 Acoustic foam provides sound dampening to minimize noise transfer through the blind walls. 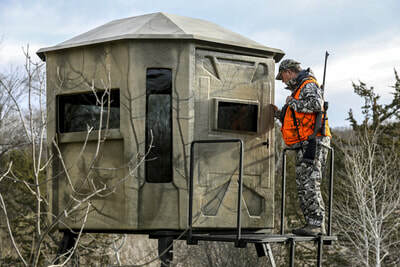 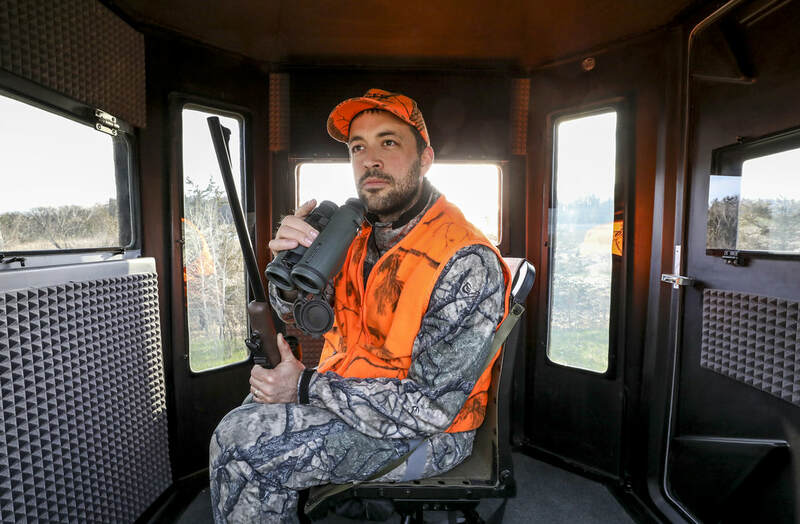 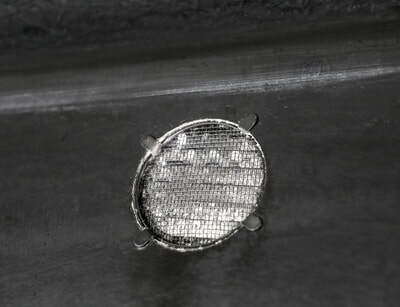 This will also minimize added noise from hunting with a partner and will help protect your hearing when you fire a shot. 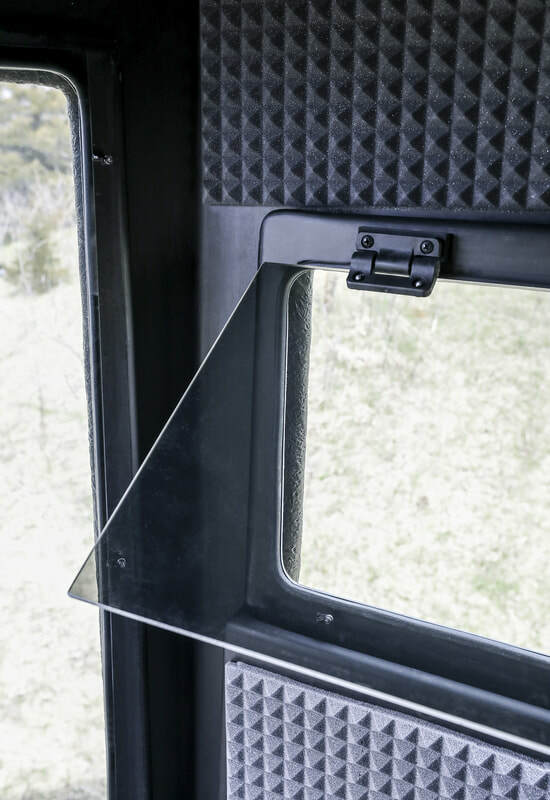 Gasketed windows help block scent and deep tint shields visible movement. 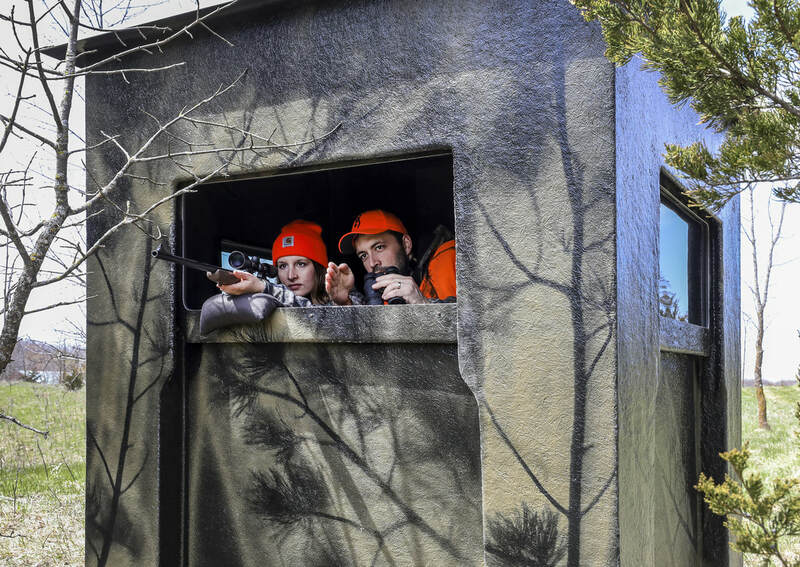 Get by with more, spook less. For the ultimate ease of use and longevity, upgrade to a steel tower. 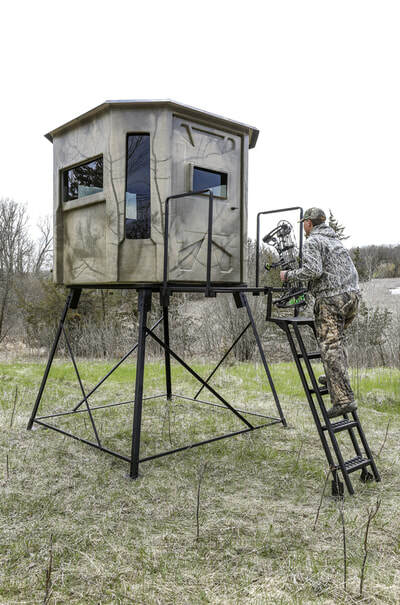 Fabricated from heavy gauge steel, the package includes everything to get you up in the air. 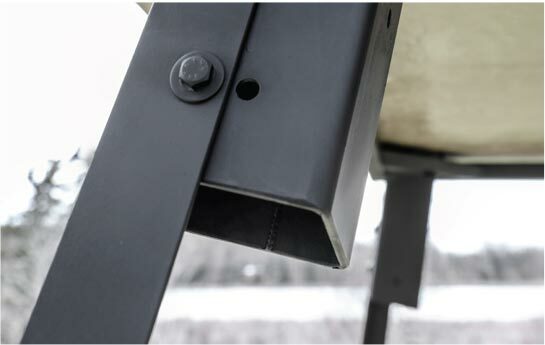 Slip resistant steel treads on the ladder and platform offer improved traction even in icy conditions. The all-welded steel frame can be purchased separately and accepts 4x4 posts to accommodate a home-built stand. 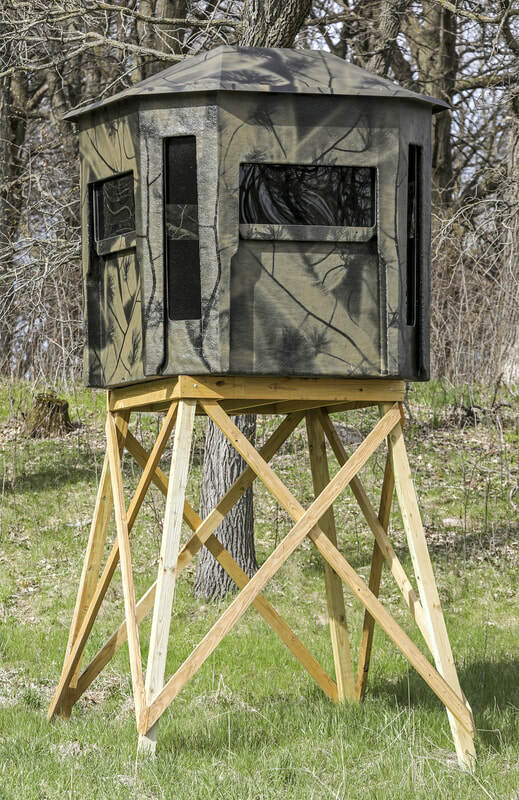 Steel stand package comes in 5 or 10 foot elevations. 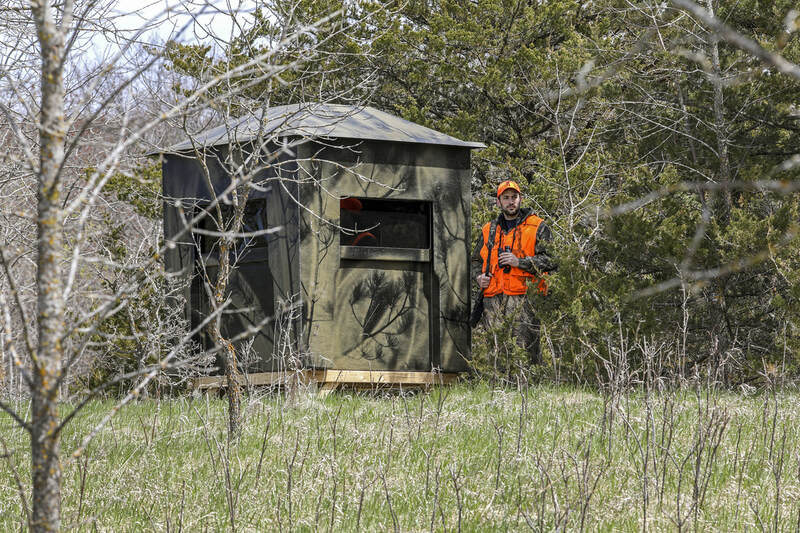 Bring in a picture to have a color match right from your stand location.